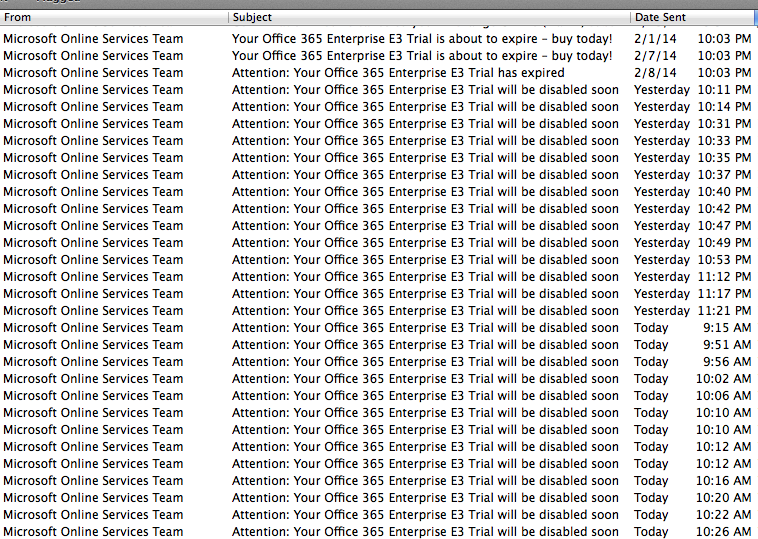 As your Feb 8th email noted, I let the Office 365 trial expire. I’m just not that into you. It’s over. Just let it go. And show some self respect. Sending TWENTY SIX emails in a 12 HOUR period is unhealthy. Failing to provide an unsubscribe link in any of those emails is harassment. I wish I could say let’s still be friends… but after the last 12 hours I’d like to not hear from you ever again.